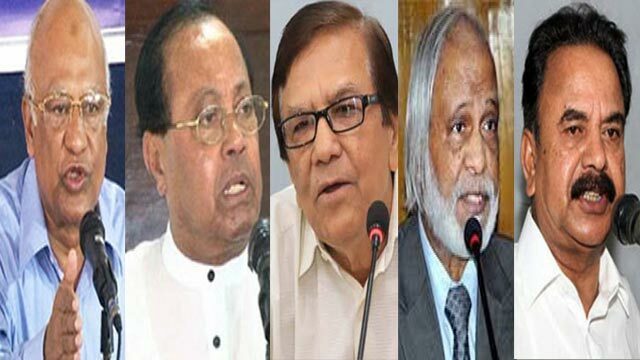 Dhaka, Jun 7 (Just News): The principal opposition BNP on Thursday called the proposed budget for 2018-19 unrealistic, saying that the government has tried to attract the people by rhetorical statements. The Bangladesh Nationalist Party (BNP) is yet to issue its formal reaction to the budget but the party leaders said that it would not be possible to implement this budget. Finance minister Abul Maal Abdul Muhith placed in parliament on Thursday an outlay of Tk 4.64 trillion, the last budget of the Awami League ahead of the national elections scheduled to be held later this year. The size of the outgoing budget was Tk 4.00 trillion but the minister already downsized it to Tk 3.71 trillion. "This budget is not a realistic one. The government has planned a big budget only to deceive the people," saud BNP standing committee member Khandaker Mosharraf Hossain. He referred to the failure to implement the outgoing fiscal year's budget. "The government failed to attain revenue collection targets as well," he said adding that the next year, too, revenue of Tk 640 billion would not be achieved. Pointing to the huge deficit of Tk 1.25 trillion, Mosharraf said the government would have to borrow money from different banks and other sources including foreign loans. As a result of this, he added, the banks would lose capacity to distribute loans among investors and others. Mahbubur RahmanBNP standing committee member Moudud Ahmed said there is no directive about resolving the anarchy prevailing in the share market, banking and different social sectors. "This is an empty budget. There's a motive behind the placing such a big budget," UNB quoted him as saying. Speaking at a programme at the Jatiya Press Club, Moudud described the budget as a balloon. "There's nothing inside it, it's empty. This is a traditional budget," he said. He said the government placed such a 'compromising' budget keeping the upcoming election in mind. Gayeshwar Chandra RoyBNP standing committee member Mahbubur Rahman jokingly said there are good statements and committments in the proposed budget. "But there are suspicions about the implementation of the budget," he expressed his views. Mahabur Rahman, a former army chief, said, "It does not seem to me that adequate allocations have been made for the arms forces." "The main goal of the budget is election. This budget has been designed ahead of general election," the BNP leader said. Another BNP standing committee member Gayeshwar Chandra Roy said, "It is not mentioned in the proposed budget as to how much money the government will steal from it." He alleged that the main target of this budget is to deprive the poor of benefits and make money.